was once a home for Hollywood glitterati, and the Monterey Contemporaries brings back the era with the Hollywood &apos;60s La Mirada Lounge. As 1960s movies play in the background and Nico Georis plays piano, enjoy wine and beer and mix with other young professionals. 6pm-8pm, Monterey Museum of Art La Mirada, 720 Via Mirada, Monterey. $12 non-members, $10 students and military, free for Monterey Contemporaries members. The Santa Cruz Beach Cowboys play a mix of covers and originals, all with an old-school &apos;60s rock and roll sound. Party with them tonight at Bullwacker&apos;s. 8:30pm, 653 Cannery Row, Monterey. No cover. Sacramento prog-rockers Secure Sounds emphasize the "rock" part of that equation. Hear them tonight at Jose&apos;s Underground Lounge. 9pm, 638 Wave Street, Monterey. $5. 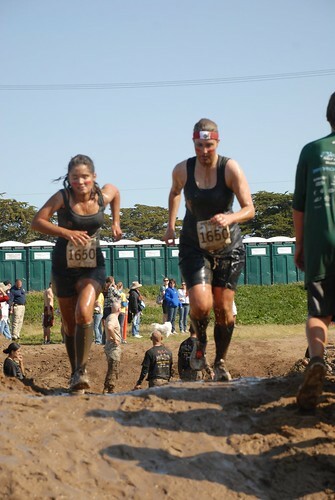 It&apos;ll be a mud-pit party today at CSUMB as runners compete in the Big Sur Mud Run. The race is sold out, but spectator is free! The crazy course includes mud pits, water obstacles and five foot walls. Watch the fun, but don&apos;t wear anything you can&apos;t wash in case someone tries to give you a hug. 8am starting time; CSUMB&apos;s Freeman Stadium (exit Highway One at CSUMB and follow the signs). Free to watch. MY Museum&apos;s Vegging Out Day isn&apos;t about sitting in front of the TV. Today&apos;s special event teaches children about healthy nutrition with life-sized vegetables Rudy the Radicchio and friends. (Clearly, kids these days get more interesting vegetables than the ones Mom served back in the &apos;80s.) Chef Brandon will show families how to cook a delicious veggie treat at 10:45am (reservations required for demo). All visitors will get a free tote and complimentary shopping at the Royal Rose Market Stand. 10am-5pm, 425 Washington Street, Monterey. Free with admission. 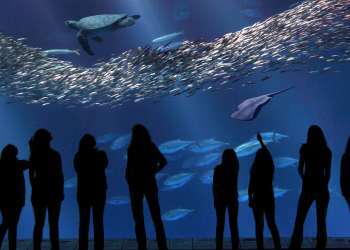 The Pacific Grove Museum of Natural History also features plant-focused activities for kids today. At Science Saturday&apos;s "Plants, Seeds and Flowers," kids can dissect flowers, look at pollen through microscopes and participate in plant, seed and flower focused arts and crafts and science activities. 11am-3pm, 165 Forest Avenue, Pacific Grove. Free. Explore Carmel&apos;s tide pools and learn about local marine life with the Monterey Peninsula Regional Park District&apos;s "Tidepooling Our Rocky Shores." 11am-1pm, Carmel (call 831-372-3196 for location and to register). $17 per person or $50 for a group of 4. Take a trip back to the Harlem Renaissance of the 1920s and 1930s with Ain&apos;t Misbehavin&apos; at the Sunset Center. This touring production features Vivian Jett, who was in the original 1978 Broadway production when she was a teenager. According to reviews, the cast delivers with knockout vocals and high energy. 8pm, Sunset Center, Ninth Avenue and San Carlos St., Carmel-by-the-Sea. Tickets are $38-$58 and can be purchased online. Pull on your leathers and bang your head with a hard rock showcase at Jose&apos;s Underground Lounge featuring locals Thirty9Fingers and Vulture King and Missouri&apos;s Hemmorhage. 9pm, 638 Wave Street, Monterey. $5. Microtonic Harmonic&apos;s sound has its roots in bluegrass but is influenced by styles ranging from funk to Gypsy-Jazz. Their high energy and sense of fun always attract a crowd — and despite the little hiccup of that Highway One issue, they&apos;re sure to fill Fernwood Resort tonight. 9pm, Fernwood Resort, Highway One in Big Sur. No cover. If you love the Indigo Girls, you&apos;re sure to enjoy Trusting Lucy. Hear them tonight in an intimate gig at London Bridge Pub. 9:30pm, Wharf No. 2, Monterey. No cover. Monterey County&apos;s jazz stars join together in a fundraising benefit for Shane Hersh, whose mother died suddenly in January. Not only will you do a good deed, but you&apos;ll also hear amazing music from Lee Durley, David Morwood, Kenny Stahl, Jim Vanderzwaan, Jackie Craghead, Marshall Otwell, Jan Deneau, Eddie Mendenhall, Martaan Mann, DOn Pendergrass, Lydia Lyons, Erasmo Aiello, Mike Marotta, Ree Brunell and more. There will also be an auction. 2pm-6pm, Hyatt Regency Monterey Hotel & Spa, One Golf Course Road, Monterey. Free to attend, donations appreciated. Monterey&apos;s history often reads like an epic Wild West novel. Take a walking tour of the adobes and tranquil gardens of Monterey, and learn about the days when they were anything but tranquil from local historian Monica Hudson. 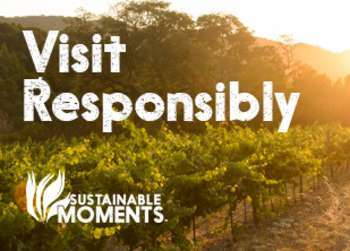 2pm-4pm, downtown Monterey (call 831-372-3196 for location and to register). $11 per person ($10 for MPRPD residents). Dine on food from Pacific Grove&apos;s finest restaurants, sip strategically-matched wines from local vintners, and support a good cause while you&apos;re at it at the 21st annual Great Taste of Pacific Grove. 21 restaurants (fittingly) will tempt the palate with goodies at this event. Make sure to have extra cash on hand for the fabulous silent auction items. 4pm-7pm, Inn at Spanish Bay, Pebble Beach. $50; call 831-642-4943 to reserve.